Coast Diamond’s featured retailer of the week is A.R. 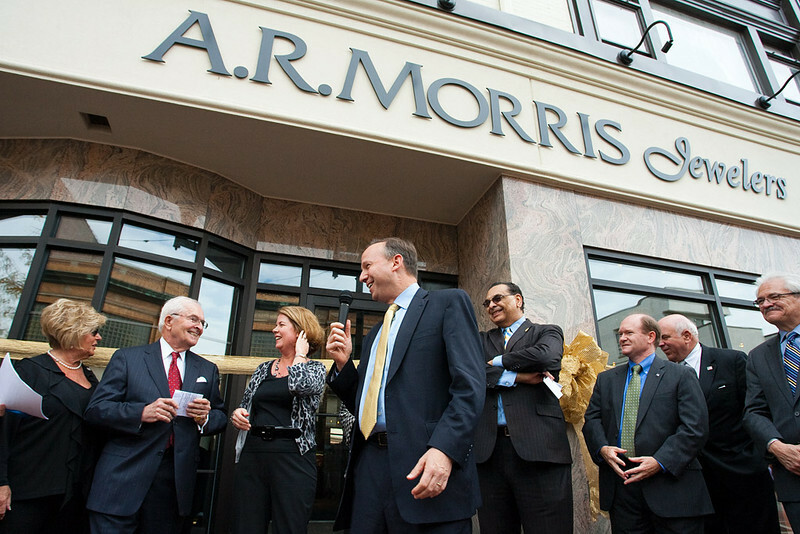 Morris, founded by Albert R. Morris in 1960. This stunning jewelry store offers not only Coast Diamond engagement rings, wedding bands, and fine jewelry, but is known for their wonderful selection of loose diamonds and beautiful designer watches. The legendary service and superb quality jewelry offered at A.R. Morris Jewelers are just two reasons why they’re voted “Best Jeweler in Delaware” and “Best Place to Buy an Engagement Ring” every year. A.R. 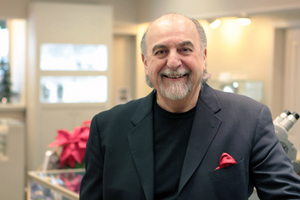 Morris is a second generation jeweler and today Bret Morris, a graduate gemologist from the Gemological Institute of America, ensures that clients receive the very best experience when visiting the store. Bret’s experience as a diamond importer, combined with his work with diamond cutters and training as an expert appraiser, ensure that A.R. Morris imports the finest gems at unbeatable values. A.R. Morris has other gorgeous Coast Diamond ring styles for you to try on, and the friendly staff will also be happy to special order any style in platinum, white gold, yellow gold or rose gold. Coast Diamond can also custom design settings to fit most diamond shapes and carat weights. Coast Diamond is based in Los Angeles, California and is proud to specialize in bridal jewelry created for couples in love. Follow A.R. Morris on Facebook and visit their store at 802 Market St. in Wilmington to see the Coast Diamond rings and dazzling diamonds up close and in person. For directions and store hours call 302-888-2436. Congratulations to A.R. Morris on being named our Coast Diamond Featured Retailer! When a couple gets engaged in Mobile, Alabama, a familiar phrase accompanies the showing of the Coast Diamond engagement ring: “It came from Goldstein’s!” This famous jewelry store – the oldest in Mobile – dates back to 1879 when Julius Goldstein started the business. Since 1956 the Richard Frank family has owned and operated Goldstein’s and has helped countless couples find the perfect symbol of love. Though styles change and the company has moved locations over the years, the staff at Goldstein’s continues to focus on offering the best service and value to each and every customer. 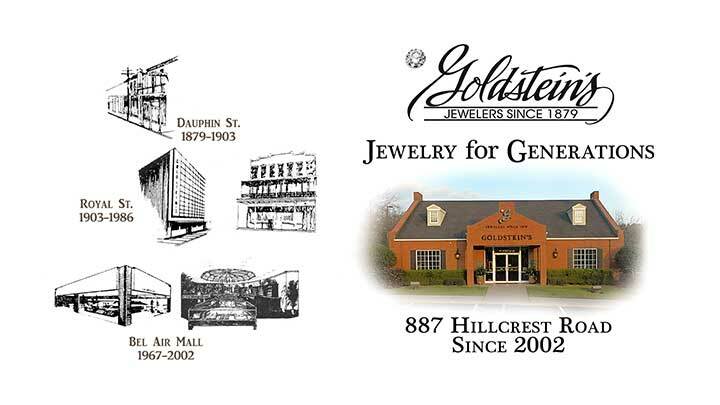 Coast Diamond, one of the featured bridal designers at this jewelry store that has been in business for 136 years, congratulates Goldstein’s Jewelers on being named our Featured Retailer. 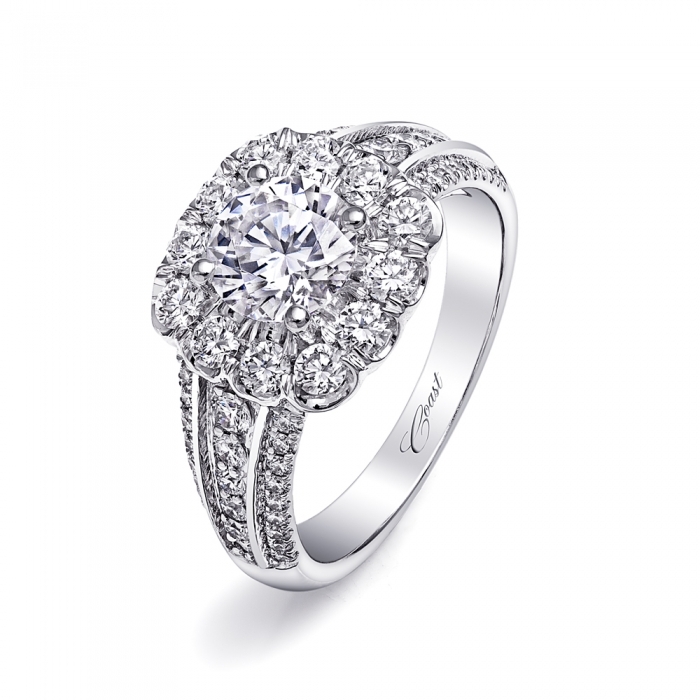 Follow Goldstein’s Jewelers on Facebook to see more Coast Diamond engagement rings and find out about special events. Visit Goldstein’s Jewelry Store at 887 Hillcrest Road this month and try on Coast Diamond engagement rings and wedding bands. Call them at (251) 460-9050 or (800) 305-3119 to get directions and store hours. Congratulations to the entire staff at Goldstein’s on being named our Coast Diamond Featured Retailer! Coast Diamond has the utmost respect for each of our authorized dealers, but a jewelry store in Garden City, Michigan shares our passion for community support. Orin Jewelers, our Coast Diamond Featured Retailer, has donated hundreds of thousands of dollars to local causes through sponsorships, services and products. Recipients of Orin’s generosity include selected students at Garden City High School and Northville High School who receive scholarships to help achieve their success and dreams. 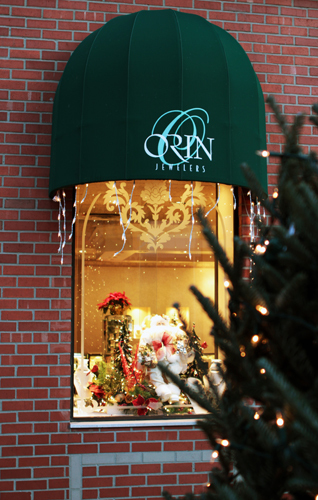 Employees of Orin Jewelers are also regular volunteers with Northville NCBA, Garden City DDA, Garden City Kiwanis and schools, churches and hospitals. 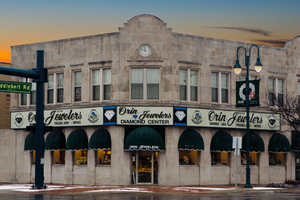 Orin Jewelers has over 3,000 “likes” on Facebook with wonderful reviews from happy customers. One of the reasons is clearly a result the store’s commitment to education and training. In fact, Orin Jewelers is staffed by more Registered Jewelers and Certified Gemologists with the American Gem Society than any other jeweler in the State of Michigan. The diamond experts at Orin Jewelers will help you select the perfect center diamond for these and other Coast Diamond ring settings. In addition to the rings you’ll see in the cases, Orin Jewelers will also be happy to special order a Coast Diamond ring for you in platinum, white gold, rose gold or yellow gold, and many of the styles can be custom designed to fit a center diamond ranging from a 1/2 carat up to 3 carats or larger. 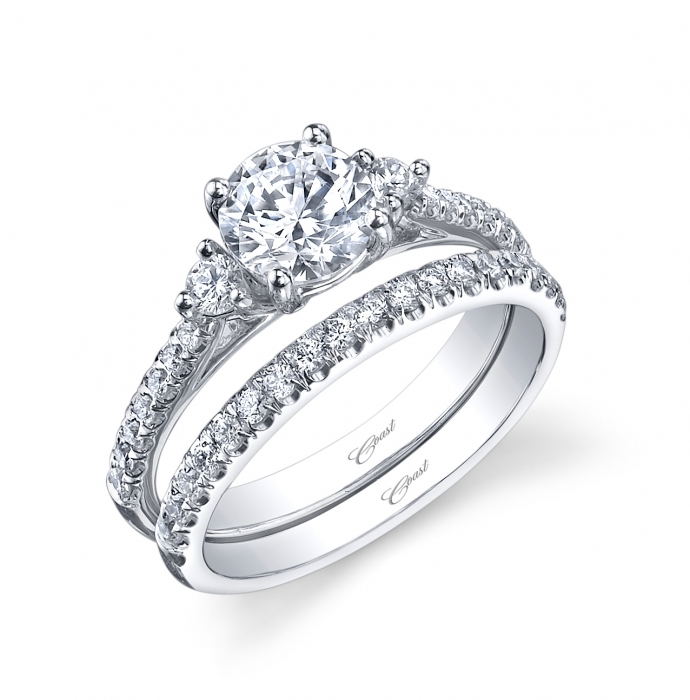 Try on Coast Diamond engagement rings and wedding bands at Orin Jewelers in Garden City, 29317 Ford Road at Middlebelt. Call 734-422-7030 for store hours and directions. Congratulations to Orin and his incredible staff at Orin Jewelers!